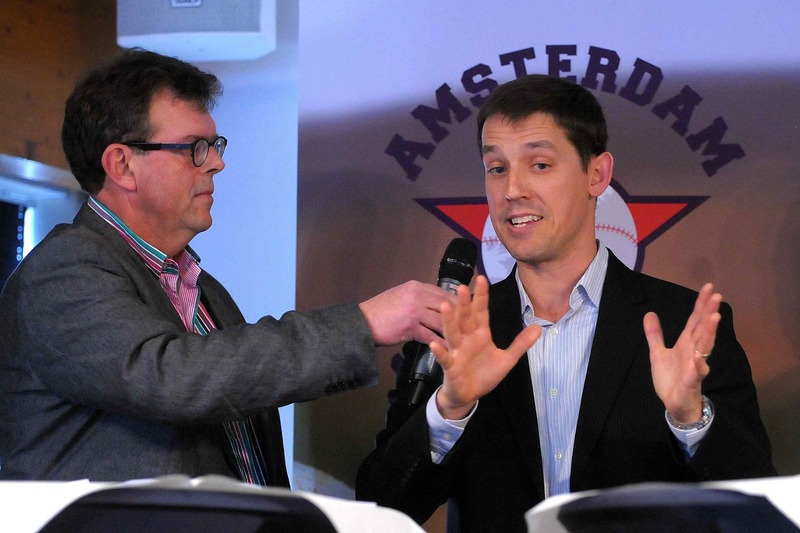 “Pole position for the Netherlands” according to MLB representative in Europe, Clive Russell in 2011. 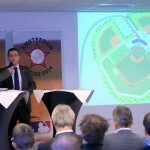 Yesterday, again in Hoofddorp, fellow MLB representative Jason Holowaty announced to the press gathered in same town hall, that MLB has decided to accept the Netherlands bid for hosting the first three regular season games. 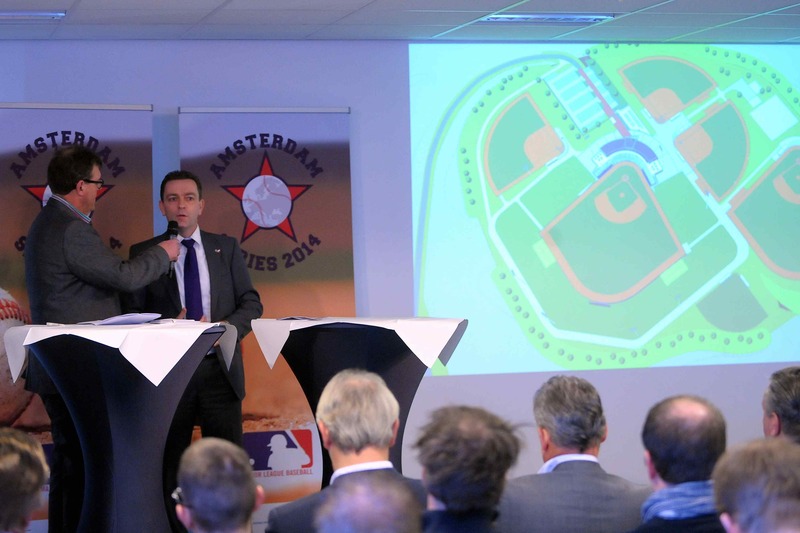 The “Amsterdam Series” will take place in a new urbanisation area south of neigbouring city Hoofddorp, of which the municipality is reserving almost €12 million for the all inclusive project aiming at a new baseball stadium for Vaessen Pioniers Hoofddorp. Pole position resulted in a race won by beating the earlier bid by Italian federation and the city of Rome. 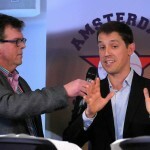 The press conference, hosted by the municipality in the town hall of Hoofddorp, was presented by national TV and radio commentator Andy Houtkamp, former baseball and softball player who said to be happy with top soccer games he has reported for NOS, but his dream will come true only when he will be behind the microphone during one of those three Major League Baseball games. 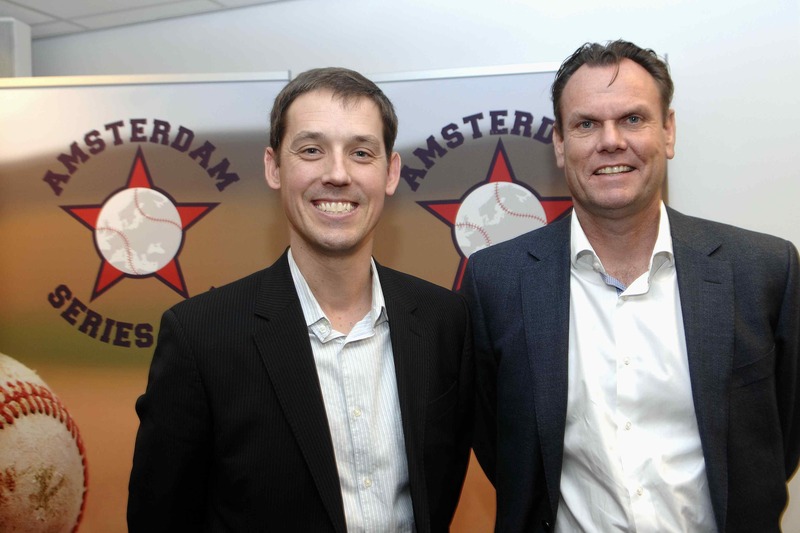 Robert Eenhoorn, former New York Yankees infielder and presently technical director baseball for national federation KNBSB, estimated that “the value of the three MLB games in the Netherlands exceeds baseball criteria and will be measured fantastic by the general sports world. It has taken two years since the project was initiated in cooperation among the two cities Amsterdam and Haarlemmermeer (Hoofddorp), baseball federation KNBSB and Netherlands Olympic Committee NOC*NSF”. 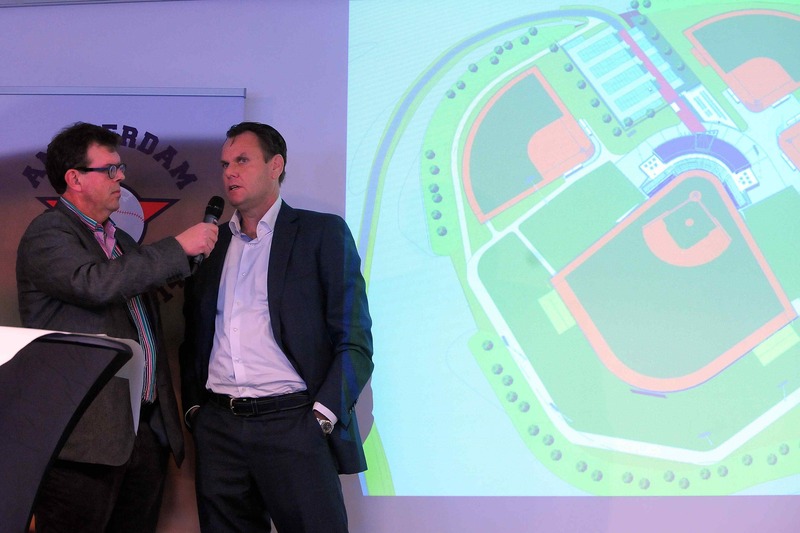 The new baseball and softball complex between Hoofddorp and Nieuw Vennep will exist of a club house and a 600 seats stadium with space for temporary extensions to a capacity of 30.000 fans surrounding one of the six playing fields. The municipality announced that the entire sport complex needs to be ready ultimately late February 2014 in order the fields can be used by junior and senior players in next season of regional and national games organised by KNBSB. The stadium field is planned to meet MLB requirements, in order not only the three MLB games can be played in 2014 or 2015 and later, but also World Baseball Classic events be hosted at a longer term, according to MLB. 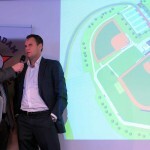 They even consider to accept the ball complex for initiatives in talent development and sport at large. National federation KNBSB is expecting to use Park 21 in Hoofddorp as home base for practice sessions by their national selections. The Amsterdam wide daily newspaper Het Parool published already on Wednesday, i.e. before the press conference, that MLB the very same day has informed the Italian federation that their bid for hosting the first MLB games in Rome has been turned down and that those games were awarded to the Netherlands. Also other newspapers in the Netherlands, such as Algemeen Dagblad and NRC Handelsblad were reported to be so eager to bring the breaking news about baseball developments prior to the press conference.